Recently, Mark and I took a trip to the Goffs Land Rover Sale in Naas in search of some new superstars! We were thrilled to come away with a number of horses that we already have extremely high hopes for. Buoyed with enthusiasm from the magnificent comeback run of Coneygree at Punchestown, we set off to the Goffs Sale in Ireland in search of new stars. 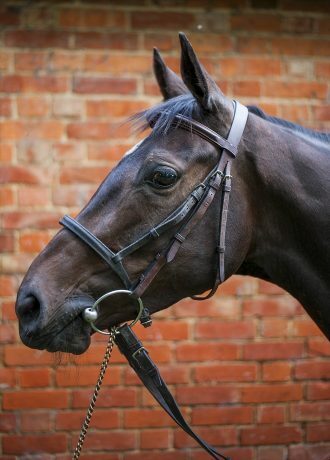 We flew to Belfast on the way to the sales to go and look at a horse that was highly recommended by George Stewart from whom we have bought good horses before, including one of this season’s stars, Step Back. The horse was a stunning, athletic chestnut four-year-old by Hurricane Run who we saw jumping and spinning up his short all weather. 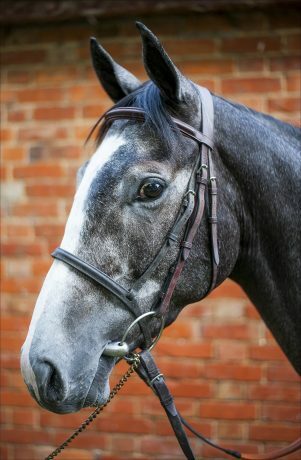 When he thinks that he has a good one, George will spend the extra time before he puts them on the market and he has been beautifully backed and produced, going to local shows and hunter trials which means that he is really ready to get on with and will be unfazed by the stresses of learning to race. He is on the market for £100,000, which is more than we usually pay for horses, but a lot less than the big boys, and I still think that he represents pretty good value for money in the search for Grade One horses. 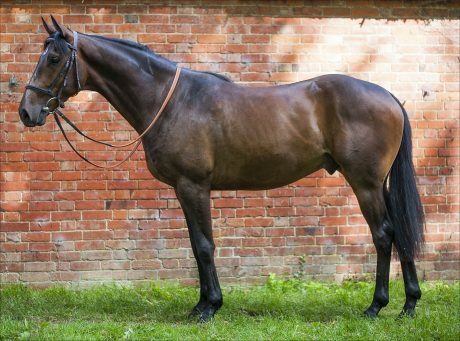 On this occasion, we decided to head on to the sales and see what other horses were on offer, however if anyone is interested, please do get in touch and I will share some pictures and videos of him. 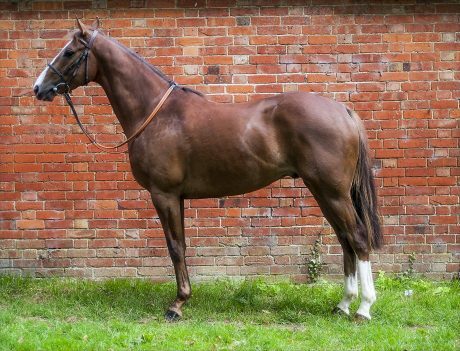 So on to the sales, and we immediately found some horses with athleticism, pedigree and star potential, only to find ourselves continually outbid by ridiculously high prices. The second day’s horses are judged by the Goffs team as slightly less valuable, and so we went to bed a bit depressed at our lack of success in the ring. However, that quickly turned to excitement when we arrived at the sales ring on the second day as there was plenty of potential on offer. 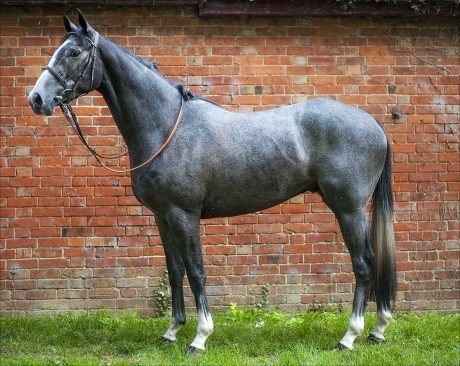 Many of the horses were streamed by Goffs before they had grown and strengthened and we immediately fell in love with a beautiful grey gelding by Multiplex who is not an in-fashion sire because his owners do not allow him to cover many NH mares. The progeny he has produced have had good success rates and this horse is strong and big, while being perfectly balanced and brimming with potential. We bought him very reasonably as all of the big trainers and buyers had gone home. It was not long before we spotted another that caught our eye across the ring. We were delighted to discover that he was by Jeremy, who is one of our favourite sires due to our Jaisalmer, who was bought cheaply before the world got into Jeremy’s offspring and who finished this season as a five-year-old with a fine run at Kempton, where he had the beating of the odds on Laser Light when he made an uncharacteristic mistake and unseated Nicko de Boinville! Jaisalmer will continue to improve and we were thrilled to have found another Jeremy youngster who looked to have the same qualities with a little more size and a slightly better pedigree. 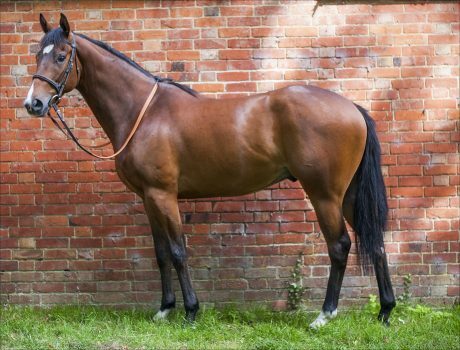 He was bought at the top end of our budget, but still for considerably less than he would have gone for at Doncaster sales or on the previous day, and we were particularly pleased to find that they both have sweet characters when we visited them in the stables a bit later. We would have been happy enough with the two purchases but our attention kept being drawn back to one of the best movers in the whole sale that we were hoping to be able to buy because he was by Scorpion – who is not fashionable. Sons of Scorpion can be a bit highly strung, but our small set up with plenty of TLC is ideal for his type. In fact, that was also said of Karinga Bay who is Coneygree’s sire, so his sire’s reputation did not worry us, but we were still amazed when he was knocked down to us. He is actually a completely charming character and we already have him lunging and being driven on long reins. He continues to be the mover and athlete of the sale and we are very pleased to announce that he has been sold to two of our current owners. Just as we were leaving, we were approached by someone who insisted that we come and see his horses. He had bought them back himself and was desperate that they did not stay in Ireland where he thought that they may be pushed before they are ready to win point to points. They were both nice sorts and we are more than happy to have them both. They are not seen on the lunge in the video because they are both a bit green, but they will be ready soon and are both available to buy by sole owners or by a group, very reasonably. One is a big strong bay horse by Bonbon Rose, who is every inch a chaser, and the other is a sharp little fellow who is strong and compact, but still growing. He is by No Risk At All, who is a new sire who has been doing well with his first crop of offspring who are now four year olds, and I really like his attitude and athletic potential. 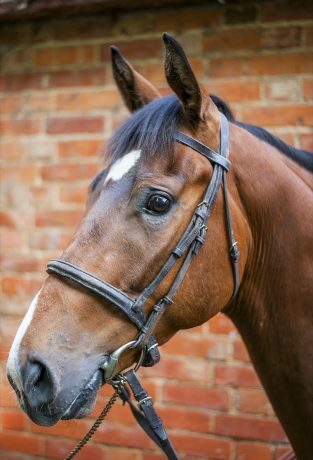 At Mark Bradstock Racing, we pride ourselves on going the extra mile to ensure that all of our horses reach their full potential on the racecourse. Our dedicated team are experienced in developing bespoke training programmes for each of our horses, and Mark and I are more than a little excited about each of these new additions! If you are interested in owning any of them either as a whole or in part, or would like to know more about our NH yard or approach to training, please do get in touch.